Moving from QuickBooks Pro/Premier/Enterprise to Online? Thinking about converting from a QuickBooks desktop product (Pro, Premier or Enterprise) into QuickBooks Online (QBO)? 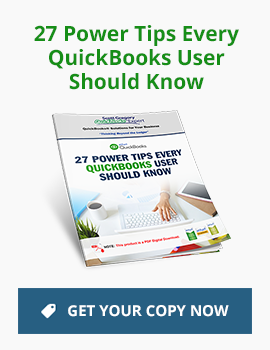 If so, it’s important to understand the potential limitations of moving your data from QuickBooks desktop into QBO. 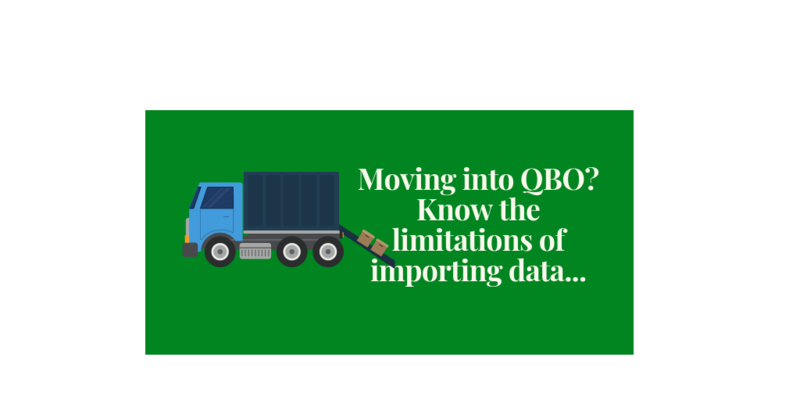 Intuit has put together an extensive support article that discusses the import limitations of moving to QBO. Evaluate the pros and cons of making the change into QBO in each of these specific areas. The support article explains each topic in more detail to help you evaluate the impact on your business. If a move into QBO is on the horizon for you, it’s essential to go into the project with as much insight as you can. For those clients I’m helping in the transition, we’re doing at least one “test conversion” well ahead of the QBO “go live.” This helps identify any potential problems so they can be reviewed and resolved before the actual conversion into QBO takes place. I strongly encourage you to do the same. There’s nothing worse than ending up with a pile of “oh, crap!” discoveries AFTER you’ve converted! Once your review is complete and all systems go for a move into QBO – might as well save your business some money – get a 50% discount on your QBO subscription for a full 12 months.